Disaster; waiting to happen. Not IF just WHEN. Click pics to see more. The Flood Re 2015 scheme is a public relations disaster waiting to happen for the insurance industry, according to Insurance expert Hiscox chief executive Bronek Masojada. A COUPLE from Moorland who were forced to evacuate their home during the floods earlier this year have been able to resume their lives this week. Home owners in the UK whose properties are at risk of flooding who have seen the price of their insurance rise in recent years have been urged to speak out. as reported on Friday, 02 May 2014 by Property Wire the Premier global property news service. They are being warned that government plans could leave them without access to affordable flood cover from next year. A citizen science project suggests climate change really has increased the risk of flooding in the UK. The issue has been highlighted by the recent floods, amid a January that saw double the normal monthly rainfall in parts of England. Prof Myles Allen presented evidence of a link between floods and climate change at the European Geosciences Union (EGU) meeting in Vienna. It indicates climate change is increasing the risk of extreme weather. A proposed new scheme for flood insurance in the UK may not be sustainable because the impacts of climate change have not been taken into account, says a report by the Grantham Research Institute says Energy & Environment Magazine on 19 August 2013. The policy paper was published by the Centre for Climate Change Economics and Policy and the Grantham Research Institute on Climate Change and the Environment at the London School of Economics and Political Science. Government accused of game of bluff with insurers as thousands of flood-risk properties could soon lose cover reports The Guardian on 31 March 2013. The chairman of a national charity that helps householders affected by floods has accused the government of “playing with people’s lives” as it looks increasingly likely that thousands of homes will be without affordable insurance from July. The Government must step up its efforts to seal a deal with property insurers over flooding before a June deadline to stop home-owners being left with uninsurable, unsellable homes, the original Express & Star March 26, 2013 5:10 pm article can be seen here The statement of principles under which flood-threatened properties can be insured expires in the summer and talks between ministers and the Association of British Insurers (ABI) are reported to be deadlocked. Developers are planning tens of thousands of new homes in areas at high risk of flooding, it can be revealed. 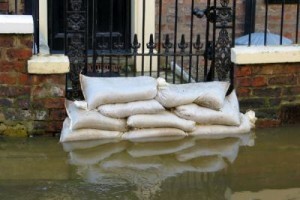 Thousands of homeowners in high-risk flood areas are paying excesses of more than £10,000, the Financial Times reports. The paper cites figures from insurance broker AA Insurance, which said that thousands of policyholders face excesses of “significantly” more than £10,000, with some even having to pay £20,000 before their insurance cover kicks in. Why were these houses built on a flood plain? Planners, Developers & Architects should be held legally liable when family homes are flooded !! Flood danger spots identified by Environment Agency and reported by The Whitehaven News at 13:36, Friday, 09 November 2012. MORE than 60 Cumbrian communities are living under the threat of flash flooding – double the number in the rest of the entire north west region. The Environment Agency has defended its flood response over the past two days, saying “it’s difficult to stop flooding completely” when rainfall is high as reported by the BBC. Up to 500 properties flooded in Lancashire and West Yorkshire after a month’s worth of rain fell in 24 hours. Agency spokesman Alex Ross said there had been “very, very high levels of rainfall falling in a very short period of time” in Lancashire and Yorkshire and that some rivers had reached their highest levels on record. More than 11,000 homes and businesses are being protected by flood defences and owners of 7,000 properties have been issued with warnings as people were forced to flee after more than a month’s worth of rain fell in 24 hours says the Independant. Flooding victims are pleading with builders to stop development on grassland before their houses are damaged. On 15 June 2012 Jan Harris of Finance Markets reported that recent flooding could lead to higher insurance premiums. Floods currently affecting Wales and south east England could be following by a rise in the price of home insurance premiums, according to analysts. Flood warnings for UK as storm builds over Atlantic as reported by Steven Morris of the Guardian newspaper group. Wales flooding: Residents left devastated by floods. Residents caught up in severe overnight flooding in mid Wales have spoken of the speed the floods hit. Report by BBC News. Is it Possible to Have Sustainable Flood Insurance without Sustainable Flood Risk Management? The framework sets out the Government‟s vision for planning in England, focusing particularly on sustainable development and local decision making. Recently Cumbria CVS completed a research project that established the importance of the work of the voluntary sector in helping Cumbrian communities recover from the November 2009 floods. It is interesting to note that on page 89 of the document they say: The ‘statement for principles’ ends in 2013. There have been a number of flood summits attended by the Association of British Insurers (ABI), Brokers, Insurance companies, Nation Flood Forum (NFF) and concerned MP’s. “Many areas that have been flooded are now facing increased premiums and vast excesses. Houses cannot be sold as new owners cannot obtain home insurance”. The Government produced is much discussed bill on planning policy yesterday the 27 March 2012. Accompanying the formal document is the “Technical Guidance to the National Planning Policy Framework“. This is the ‘cheat sheet’ which directs all users on how to do things!! As set out in the National Planning Policy Framework, inappropriate development in areas at risk of flooding should be avoided by directing development away from areas at highest risk, but where development is necessary, making it safe without increasing flood risk elsewhere. Obviously the government cannot say “do not build on high risk flood zone” because most of the south east and a lot of other areas of this Island of ours is designated as a high risk flood zone. And some people actually wish to live there, rather that the wonderful hilly, undulating landscape with plenty of land not subject to flooding county of Cumbria. Joseph Rowntree Foundation says: Catastrophic flooding events have become increasingly frequent in the UK and, with climate change, are likely to become even more frequent in the future. Page 13 of this document states: In England roughly 10 per cent of new build is in flood plain. In contrast, in Scotland there has been no new build in flood plain since 1995. The extent of new build in flood plains in England, in particular, (see Table 1) and the absence of regulations on flood resilience in building raise serious problems. The UK has suffered the driest 18 months since records and with the south east and east Anglia already officially in a state of drought the Association of British Insurers (ABI) is warning home owners to be aware of the risk of subsidence. Moneywise reveals the 10 most common problems that are likely to impact the value of your home. Home, Health, Family: The Impacts of Flooding. Home, Health, Family: Impacts of Flooding. A research paper that addresses the significantly neglected matters affecting the health and well being of a family when the tragedy of a flood occurs. The long term physical and mental health issues including fear when rain again occurs has not to date been given due regard; nor has the relationship stresses that can and have caused irreparable family breakdown.